I asked this client if everything was ok? To which he replied “yes, I’m fine” – and continued the session with his head down and not saying much. I was taken back, I didn’t know how to deal with it, as this person was always full of energy and happy, it was like a totally different person stood in front of me and I was dumbfounded. I went away after the session and thought about it, I wanted to help, but I needed to reach out and build some trust. Just before finishing my sentence I noticed a tear rolling down his cheek. I was totally shocked, I felt his sadness and felt the emotion of what it would be like to lose my own dad. I now understood why everything went off plan the last few weeks. We stopped the session and went for a walk, we talked about his dad and what happened. He shared happy memories and lit up whilst taking about him. After his death, he said he used food and alcohol to escape and the exercise sessions with me was a way to counter act the last 2 years of the physical abuse he’d done to himself. I told him it was normal, people grieve in different ways. The most important thing is recognising that you are grieving and to let it out. It’s painful and will hurt but if you don’t release it, it will come out in ways that don’t serve you. 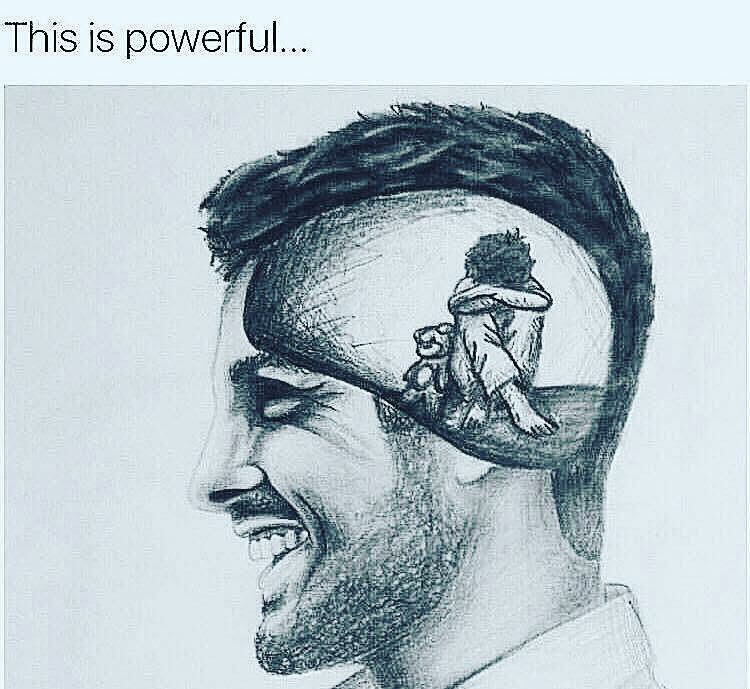 I honestly believe that too many people suffer in silence, there’s a vast number of people with mental health issues and they are not getting the help they deserve. I’m not talking about counselling necessarily (although that can be very helpful) I’m talking about help from family and friends, even strangers. If you notice somebody is sad, reach out to them, offer to help, even just being a ‘soundboard’ for them to talk to is an enormous help. It allows the person to acknowledge their emotions and the body can start to heal. We all have wounds, wounds from what people have said, wounds when people have let us down, or betrayed our trust. Wounds from previous relationships, and deaths in the family. We are all struggling in some shape or form and will have to go through some form of heartache throughout our lives. When you feel strong help somebody in need. When you feel weak, open up and share your pain with somebody you trust. There’s always a light at the end of the tunnel and always a way to work through any emotional pain. Sending my love to those of you out there who are struggling, don’t give up, good times are ahead of you.